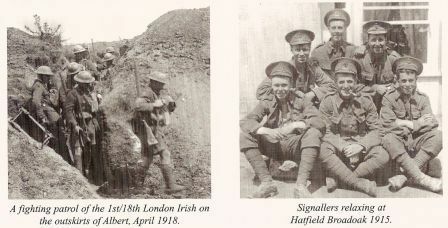 In September 1916, 1 LIR saw further action at High Wood during the Somme battles. 5 officers and 68 other ranks were killed with a further 150 wounded – partly due to the massive failure in the early use of tanks. 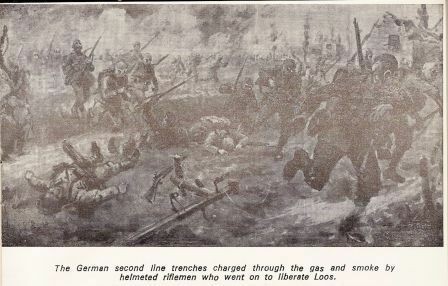 The next month saw them move to the Yvpres region before entering the line there in November 1916, where 12 men were killed. In February 1917, Lt-Col Mahon, who had been at that time commanding the battalion, succumbed to illness and was replaced by Major (soon to be Lt-Col) DB Parry. – gained 24 battle honours, that were added to that gained by the Regiment during the Boer War.